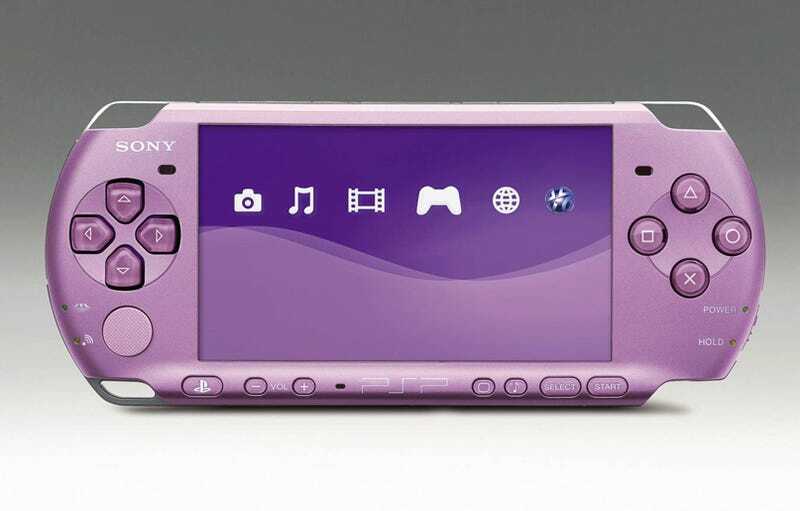 Female gamers finally get a PSP of their own, as Sony announces a Lilac color being released in one of two new PSP bundles being released this year - Assassin's Creed and Hannah Montana. While the thought of a Lilac PSP is actually rather appealing to me, Sony is releasing it as part of the Hannah Montana PSP Entertainment Pack, which is "part of a new focus on expanding the PSP market to female gamers." Sorry guys. You'll just have to miss out on this bundle, which contains Disney Interactive's Hannah Montana PSP game, a selection episodes from the Hannah Montana TV series on UMD, a 2GB Memory Stick PRO Duo, and stickers. Instead, male gamers can look forward to the Assassin's Creed PSP Entertainment Pack later in the year, containing the newly announced game, a Piano Black PSP, and other extras to be revealed at a later date. Both packs will retail for $199.99.